Delhi Daredevils won the match by 11 runs. Delhi Daredevils won the match by 11 runs against the Mumbai Indians at Feroz Shah Kotla cricket stadium, New Delhi. Amit Mishra was awarded the Man of the Match for his exceptional match-winning spell that ended defending champions MI's IPL 2018 campaign. Team Circle of Cricket gets down to list the 5 talking points of the match. It was a calm start by the Delhi openers scoring 30 for the first wicket partnership. Prithvi Shaw and Glenn Maxwell came to open the innings for Delhi Daredevils. This was only the second full game where the Aussie gets a crack at the top. Glenn Maxwell's misery continues. He had tried to play a big heave against MI and was not been anywhere near the ball. An inside edge rattled his stumps and he had gone for an 18-ball 22. Both of the openers of Delhi Daredevils were back in the hunt. Rishabh Pant again did not let his fans down, he struck 64 runs to provide Delhi Daredevils with a fighting total of 175. His beautiful knock even gave him his Orange cap back with 684 runs in the tournament. He now also has become the only player to smash 100 boundaries in this season of IPL. The young sensational player from Delhi has played very magnificently in this tournament. He has created so many records this year with even scoring a century. It was total bliss to watch young Rishabh Pant bat like this throughout the season. After the first innings was over, Delhi Daredevils handed the visitors a total of 175. Mumbai Indians needed to score 175 to reach the IPL playoffs. It was a great batting effort by Vijay Shankar and Abhishek Sharma adding crucial 35 runs in the last couple of overs. It's was a tough ask against a confident bowling unit that has three current internationals and an ex-Indian bowler in their stocks. Mumbai openers came in to bat. Delhi Daredevils spinners came into the part to restrict ongoing attacking Evin Lewis to pull things back for the host team. Amit Mishra brought the important breakthrough with Sandeep Lamichhaane also chipping in with his wickets. Those crucial wickets of Pollard, Krunal, and Lewis gave Mumbai Indians a setback with the asking rate going up for the team, Delhi Daredevils had an edge over the visitors. 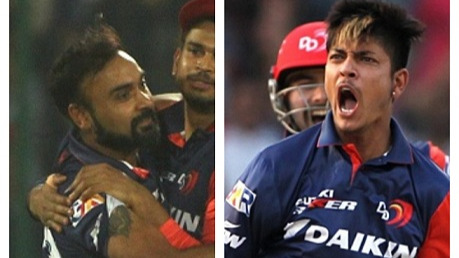 Both the leg-spinners of Delhi took 3 wickets each to lessen Mumbai Indians chances. To reduce Mumbai Indians chances the international players of Delhi, Trent Boult and Maxwell were engaged in a duo caught after taking the wicket of Rohit Sharma, the skipper of Mumbai Indians. Rohit went back to the pavilion after scoring 13 runs. 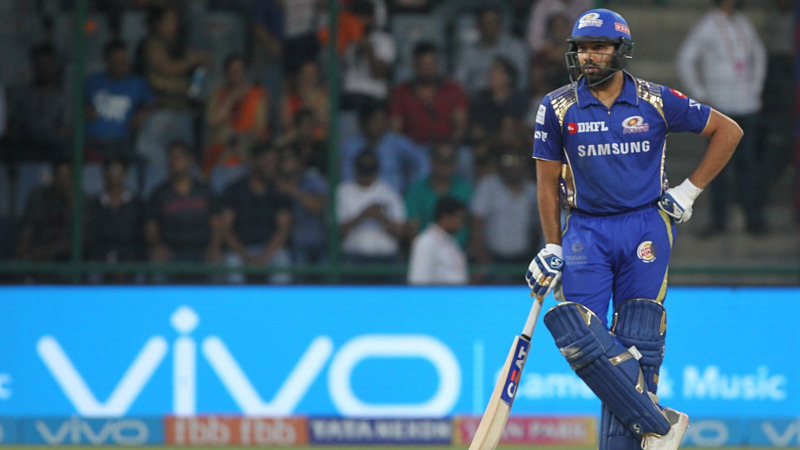 This was for the first time Rohit Sharma has failed to score 300 runs in an IPL season. Ben Cuttings failed to take his team on the winning side, despite playing a great cameo in the end. Mumbai Indians lost the match by 11 runs. DD end defending champions MI's IPL 2018 campaign with winning it off their last game in style. End of IPL 2018 for Mumbai Indians. Delhi Daredevils have ended the defending champions' hopes to go to the playoffs. Rohit Sharma & Co. fall at the final hurdle. Ben Cutting came agonizingly close to winning it for MI, but Harshal Patel bowled a fantastic final over to deny him that. DD won by 11 runs to sign off as the best wooden spoon winners in the history of IPL.